2017 has started as a very interesting year for our shop. Andrew and I welcomed our son, Arthur, into the world on February 8th. On February 12th I ended up in emergency surgery and then in and out of ICU for nearly 3 weeks with a severe infection. 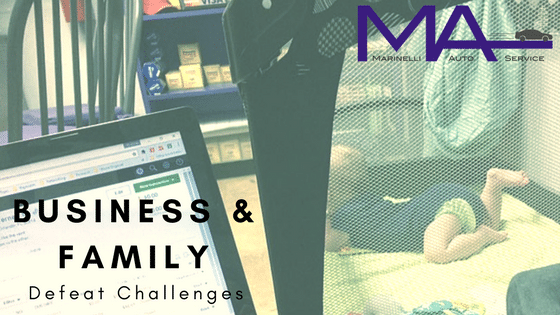 This meant that, not only was I no longer working at the shop, but my maternity leave was prolonged and much of Andrew’s time was spent away from the shop and a lot of dependence was placed on Mike to keep things moving for our customers. Thankfully, we’ve had really understanding and compassionate customers. Several of you even stopped by with cards or gifts for us and the baby for which we’re really grateful. I am happy to share that I am doing much better. I still have work to do for complete recovery but the worst is far behind us. Arthur is also doing great and is proving to be a go with the flow little baby with his Dad’s drive and determination! In the midst of all of this, we’ve actually been able to continue to improve the business in both administrative efficiency as well as shop tools and equipment. We have expanded our diagnostic and programming equipment as we aim to be on top of the tools and technology available. Our goal is to be fully equipped to serve our clients for all of your needs from a simple oil change to a major repair. As our client base grows, this becomes even more valuable to us as business owners and to you as you try to be good stewards of your vehicles. Additionally, we are moving toward paperless invoicing to save money, give our business integrity, as well as save time on administration so we can keep our focus on your vehicle. This has been a trial and error process but I’m happy to say it’s already starting to show its benefits. Even though it’s been a rough start of the year for our family, we’re grateful to continue serving you and your family. I’m starting to become reacquainted with the shop and take on responsibilities to continue improving this business. One of these days you might even come into the shop to find yourself greeted by Arthur and I.